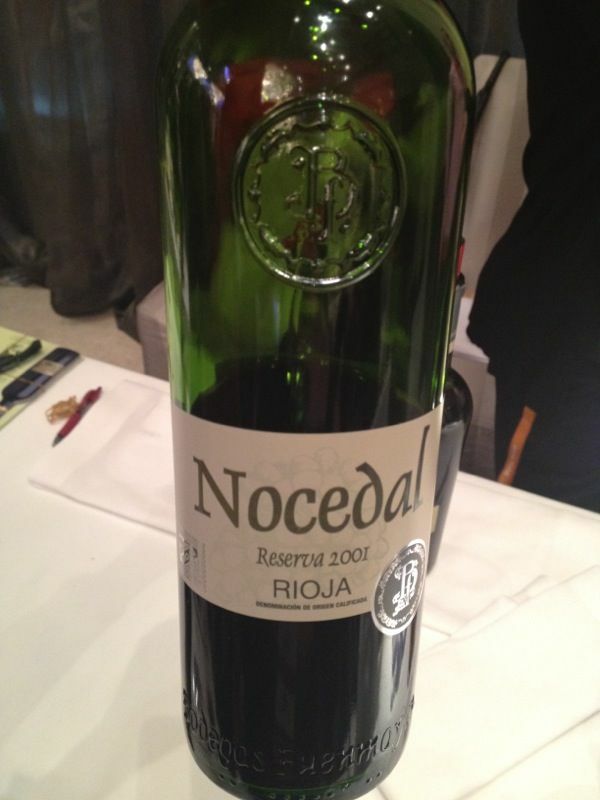 We spent a lovely afternoon yesterday tasting...well, ALOT of Rioja wines! 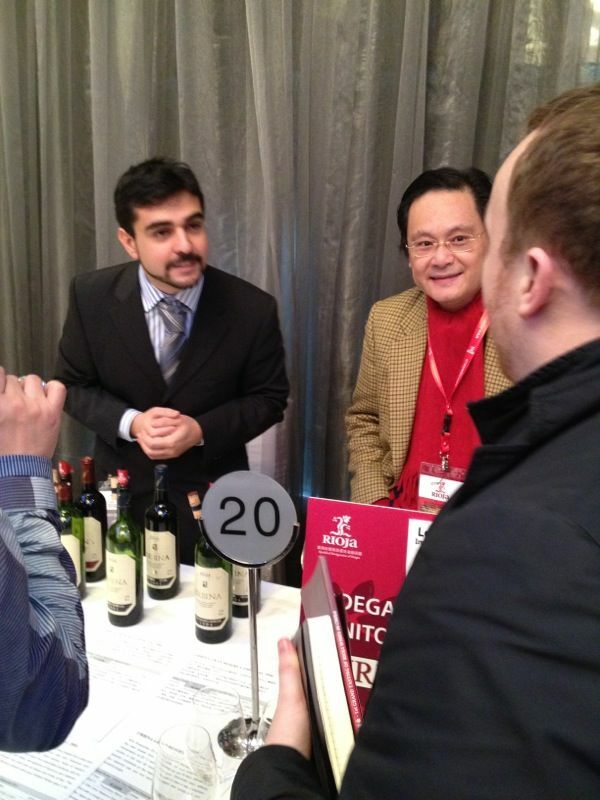 HOFWs head over to the Mira Hotel in TST and joined hundreds of other los amantes del vino for tastings of some of Rioja's finest. We tried Altas, Bajas, Alavesas, and even one in a square bottle labeled 'Perfume,' and were quite impressed with the range of Tempranillos and even whites offered. Allow me to set the scene. 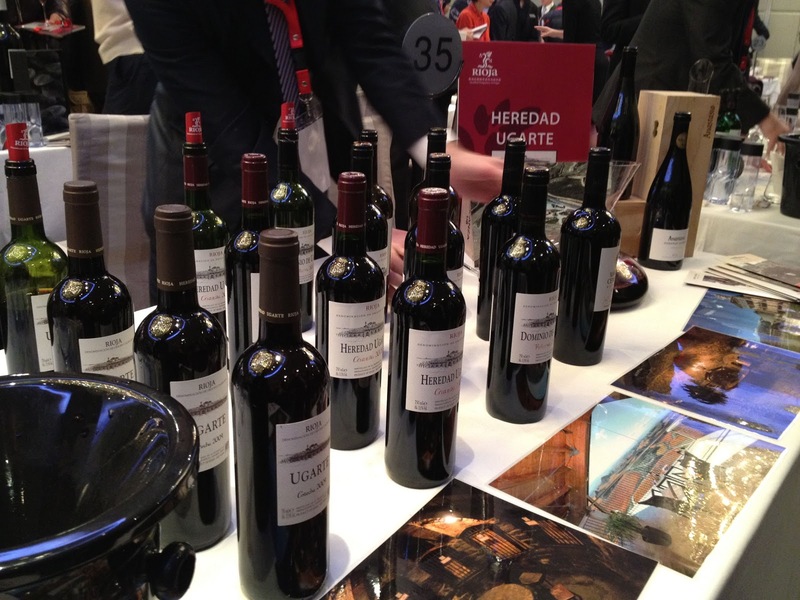 Over 200 wines from 40 some wineries from Rioja, Spain, each with a range of young wines with no oak, to Grand Reservas which have been in oak for more than two years. You make your way through the grand ballroom from one table to the next meeting and greeting winemakers, importers, and distributors alike. Heredad Ugarte. If you haven't tried the Dominio, you should! We started by saying hi to our friends Maya and Gonzalo at Heredad Ugarte. 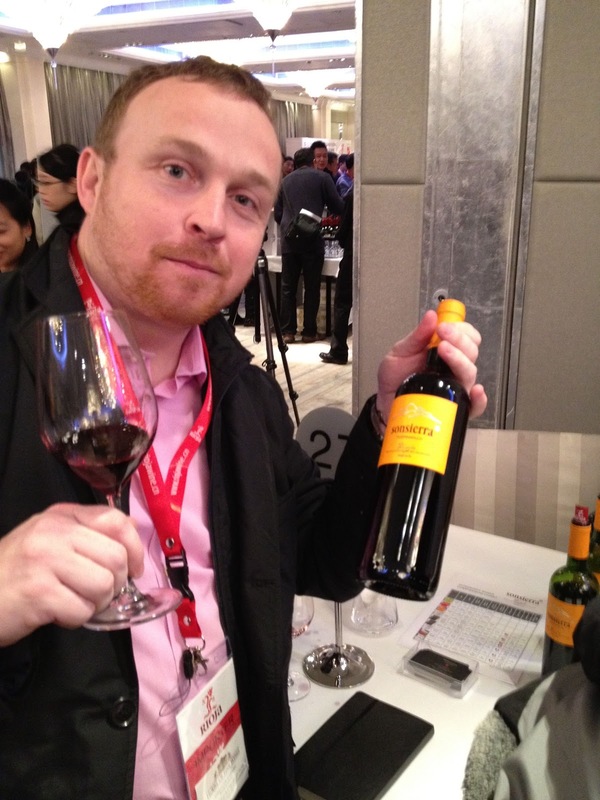 We carry a range of wines from this company, so Greg attempted to blind taste to see if he could ID the wine. He was duped! 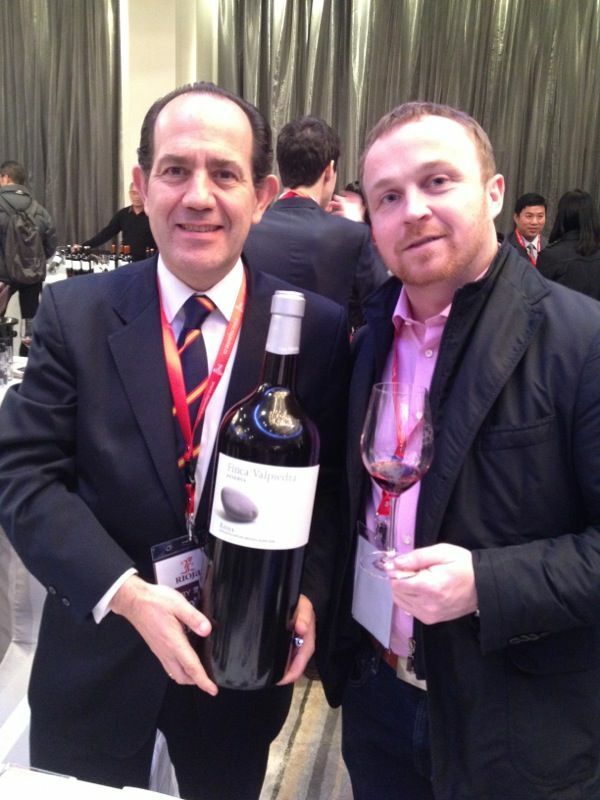 Gonzalo mixed the Crianza (test: can you remember the requirements for Crianza status!?) with their Cosecha (6 months in oak), and in all fairness, Greg IDed it as Cosecha. Half right's better than all wrong. Then we made our way over to Urbina where we really enjoyed all of their wines. This was probably my second favorite of the vineyards looking for a distributor in Hong Kong. I'll get to my favorite in a moment. Greg grilled the wine maker as we made our way from the young Tempranillo all the way up to the 1994 Gran Reserva, which was quite nice! I don't know if I'd ever had a 94 before, have you!? Next we tried some wines from Sonsierra. 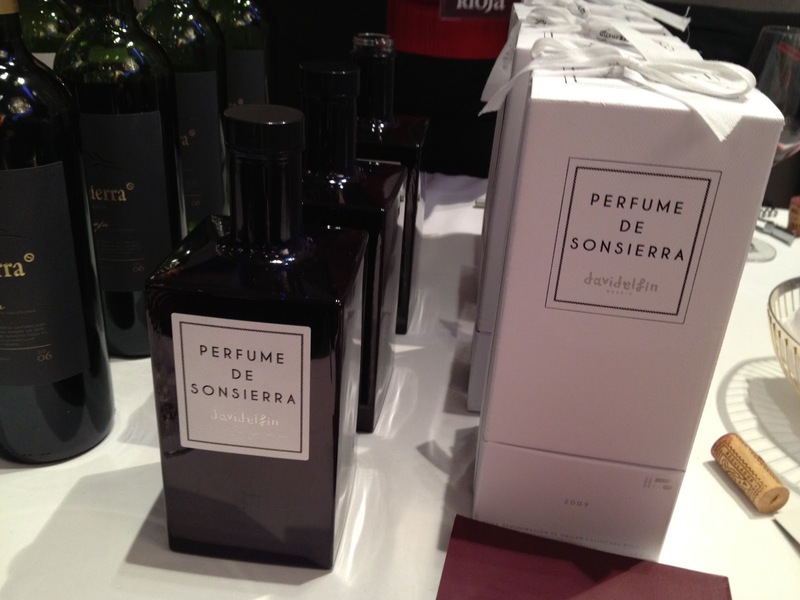 Although not my favorite, they had an interesting 'Purfume' wine that came in a cool square bottle. Again, didn't blow my socks off but it would be impressive to show up to a party with. We worked our way through many many more Crianzas and Reservas, and then we arrive at the best. In my opinion. Nocedal! The vineyard only had four wines all 100% Tempranillo, and each was quite good if I do say so myself! There was a 2005 and 2008 Crianza and 2001 and 2005 Reserva. The 2001 Reserva was my favorite wine of the day! Plummy with raspberry and blackberry notes and a hint of cassis. [Note: I just learned that cassis is the fancy way of saying mediciney taste] And the best part it's from a small vineyard looking for distribution in Hong Kong. Sign me up! Basically, Greg, Sean and myself had a totally amazing time trying totally amazing wines. After a bunch of wine and limited nourishment, HOFWs went to dinner in the Chung King Mansion. Greg loves the mansion for its authentic Indian, but alas, this time we had been lead astray. We tried Khyber Pass Mess Club for the first time together, and I can assure you, it will also be the last. The curries were quite nice, but the quality of meat and fish (yes, perhaps we should relize this as it was the CK mansion...) was awful. I ate the vindaloo around my fish which was dry and leather like, and Greg and Sean picked around the mix grill trying to ID the different meats. They couldn't. Can't win em all. What's your favorite post imbibing meal? I'm a little partial to dim sum myself. All in all a nice little Tuesday! Salud!